Return on Investment (ROI) is the ratio between the net profit and cost of investment resulting from an investment of some resource. A high ROI means the investment's gains compare favorably to its cost. 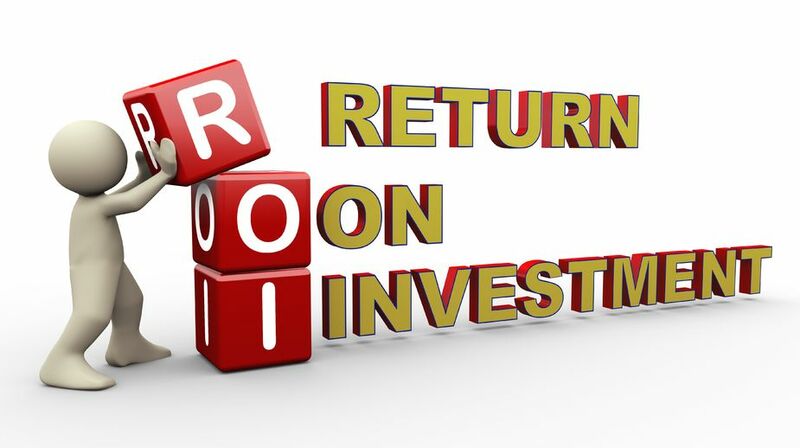 As a performance measure, ROI is used to evaluate the efficiency of an investment or to compare the efficiencies of several different investments. In purely economic terms, it is one way of relating profits to capital invested. Click here to learn the real facts about how much work-related injuries are costing your business! Click Here to read about what EHS Today discusses "How Ergonomics Impacts the Cost of Doing Business" and determine for yourself how ergonomics programs can help businesses cut costs, reduce workers’ compensation claims and increase productivity! Rotator Cuff Surgery- The average cost of medical care was $50,302.25 per patient. The average time to return to unrestricted duty from the date of injury is 11 months. However, patients referred to a specialist immediately following the diagnosis of a rotator cuff tear had total costs that averaged $25,870.64 and returned to work an average of 7 months postoperatively. Patients managed via a "gatekeeper" system averaged $100,280.10 in total costs and the average return to work was 18 months. Total Knee Replacement Surgery- The average cost for a total knee replacement (TKR) in the United States is $49,500. A partial knee replacement (PKR) typically costs about 10 to 20 percent less than a total knee replacement. The average time to return to unrestricted duty from the date of injury is 3 months depending on the type of work involved. An individual should be able to stop using their crutches or walking frame and resume normal leisure activities six weeks after surgery. However, it may take up to three months for pain and swelling to settle down. It can take up to a year for any leg swelling to disappear. Carpal Tunnel Release Surgery- The average cost of the procedure, therapy and other related expenses can average approximately $29,000. The recovery from carpal tunnel surgery takes time – anywhere from several weeks to several months. If the nerve has been compressed for a long period of time,recovery may take even longer. Recovery involves splinting your wrist and getting physical therapy to strengthen and heal the wrist and hand. Implementation of Human Hoist for work requiring bending, stooping, and crawling can help prevent long term injury to joints and help eliminate sprains and strains caused by over-reaching from a poor position; resulting in HUGE savings from your investment. Find out how the Human Hoist Power Shop Chair can make your organization's work safer, more efficient, more productive, and more comfortable while keeping your most valuable asset, your employees, happy!